Click HERE or the image above to go to the LD site. Add the item to your cart and check out. You pay $0! After you have completed the "purchase", be sure to download the zipped file on the right because the .exe version is not available. 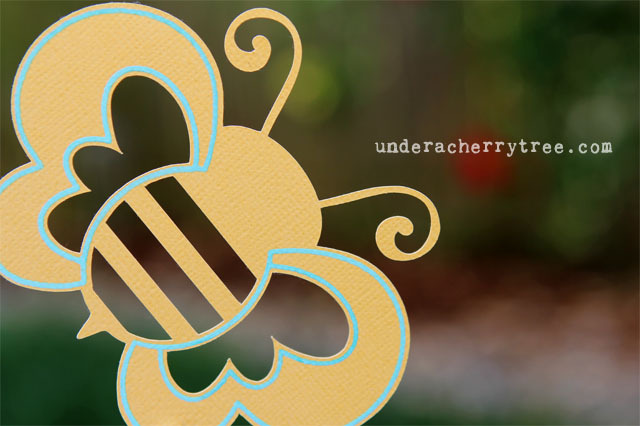 LD's sister site over at scrapNfonts also has a free file for us. 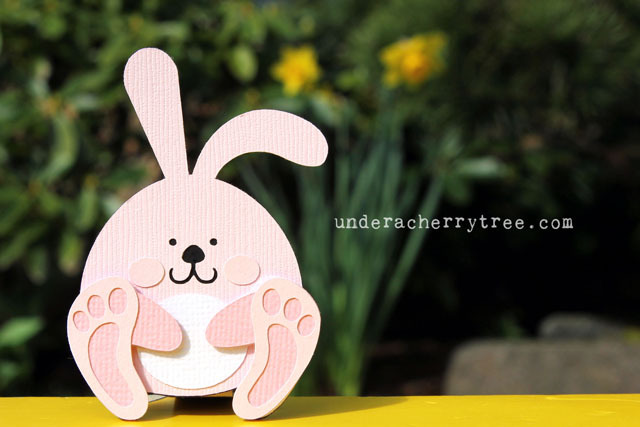 Click HERE to go to their Fontaholic blog and get your free Easter Egg Printable Stand. Silhouette users, don't forget to claim your weekly freebie from the Silhouette Online (Shapes) Store. use the MonsterMadness coupon to take an additional 55% off a $40 minimum purchase. LD's commercial product sale is also still going on. Get all the details on the Commercial Product Sale by clicking HERE. HOT DEAL! Bring On Spring bundles 67%-75% off original price! 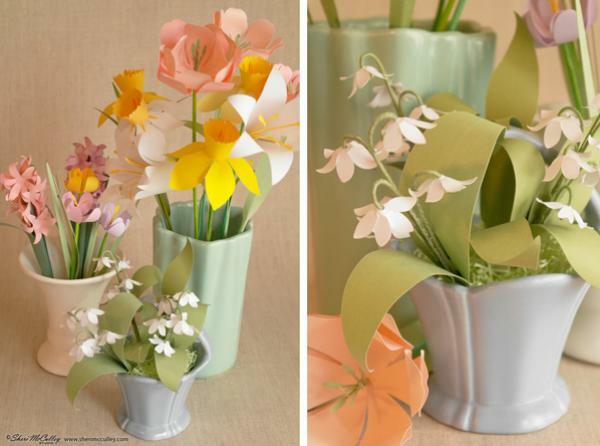 The Bring On Spring Cut It bundle is only $15 (almost 67% off the original $45 price! ), while the Graphics bundle is only $10 (or 75% off the original price!). That's not even including the current discount coupons! You can use the code MarchMadness to take 35% off a minimum purchase of $15 or MonsterMadness to take 55% off a minimum purchase of $40. Click HERE to get your Bring On Spring bundles. This is for those of you who use Make-the-Cut. You can now cut to the Silhouette Portrait through the MTC program! Andy has released a new plugin that supports the Silhouette Portrait and also allow the choice of cutting by Knife Point. Download the plugin from HERE and read all about it from Andy's post HERE. Also, for the general MTC crowd, the latest version of the program is v4.6.1. To find out what new features have been added in the update, just click HERE to read Andy's announcement. 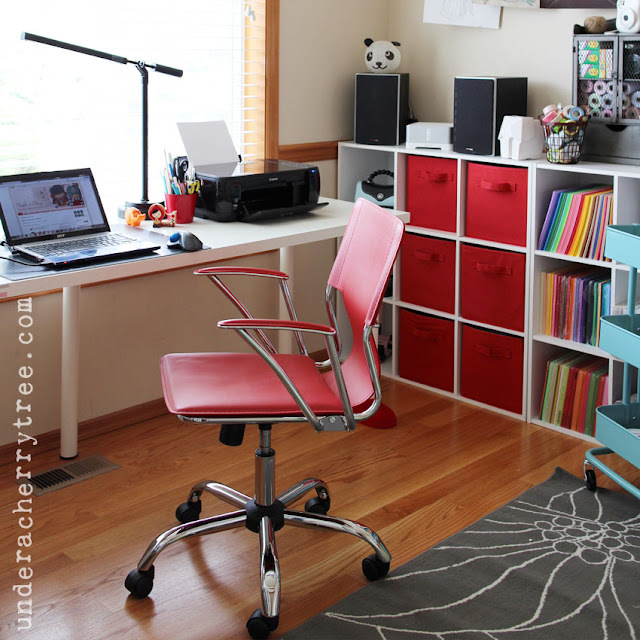 When I posted a picture of my new chair to my Facebook page earlier this month, I was in the midst of re-organizing the craft room that the kids and I share. The first time that I posted about this room was back in 2011 when I was clearing out the stuff I don't use. Besides being more cluttered now, the room hasn't changed much. The way that it is setup has remained the same but my kids are older and their interests are different. It is time to clean out the room again. 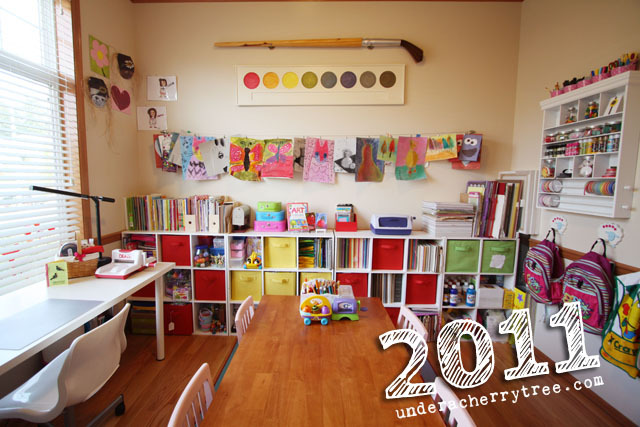 This was how the room looked like back in 2011. Click here if you would like to see that post. 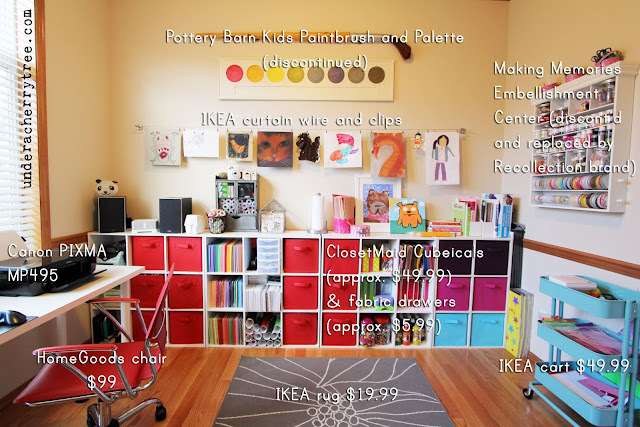 As you can see, I haven't changed the setup at all but I replaced the fabric bins and the rug. The red bins contain mostly the kids' craft supplies while the ones on the right were assigned two to a kid so that they have their own storage space. I purchased the rug in February while the chair was bought in the beginning of March. I store all my twine in a little metal cabinet that I bought last year from the World Market. It was on sale for about $20. 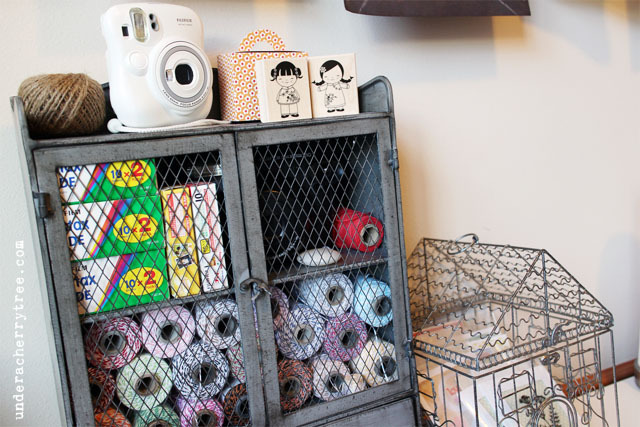 Not sure if they still sell it in the store but I love how the rolls of twine fit just right inside. The wire cage next to it was also purchased last year but from Target. I keep some of my cards in there but the best part is that I got it on clearance for less than 10 bucks! When hubby came back from his business trip to Asia last Dec, he came back with a big box of washi tape for me. I managed to shove most of them into a drawer under my desk and the leftovers went into this metal basket. I have another set of CloseMaid Cubeicals on the other side of the room and sitting on top of it are 3 of these ArtBin drawer cabinet with 30-drawers each. I keep almost all of my embellishments inside. 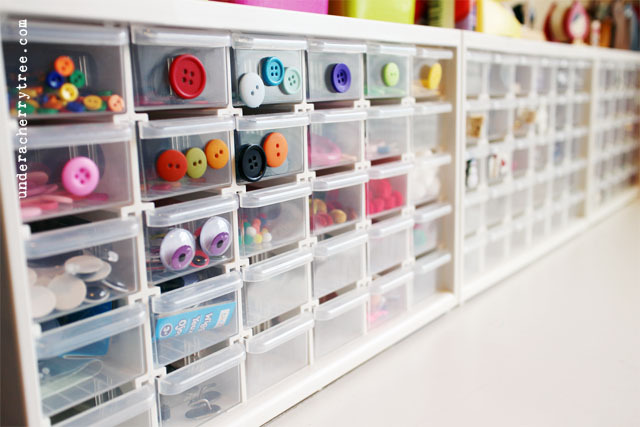 I love that the drawers are transparent so that I can see what I store in them and for those things that are flat, I prefer to stick them on the outside of the drawers to easily locate them. 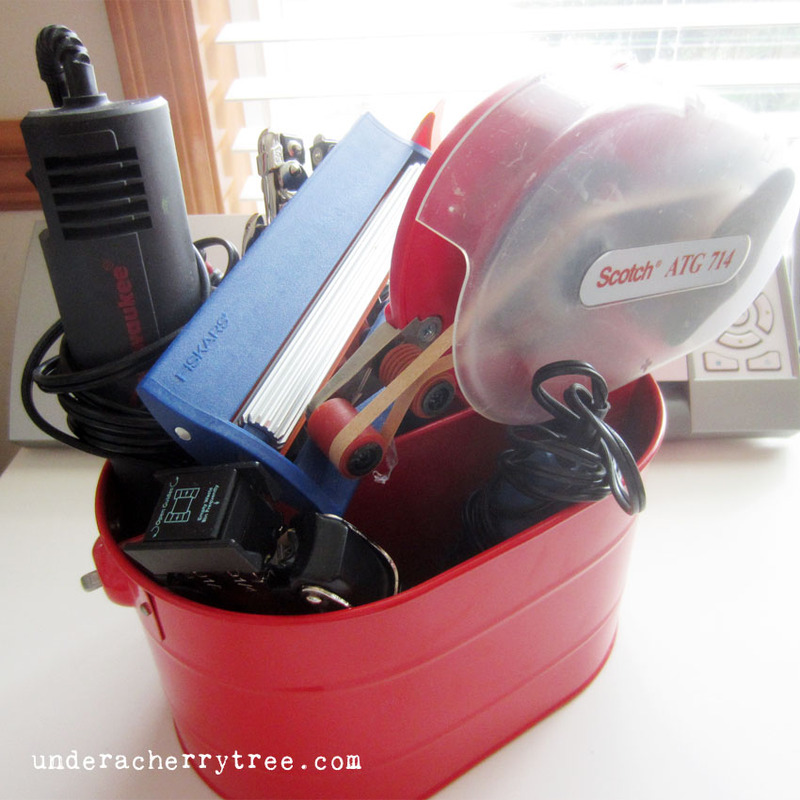 I keep my ATG tape gun in a flatware caddy with my corner rounder, heat gun, crimper, and glue gun. I store my crop-a-dile in there too. This caddy fits right inside one of the cubbies in the Cubeical. 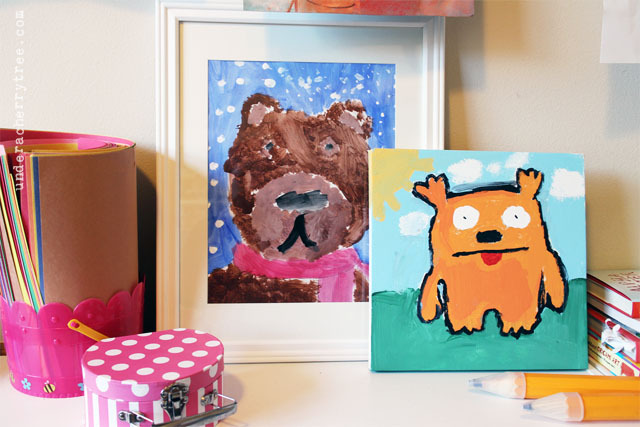 The kids are very into Ugly Dolls these days and have been painting portraits of their monsters. Panda Girl painted the teddy bear in one of her after-school art classes. 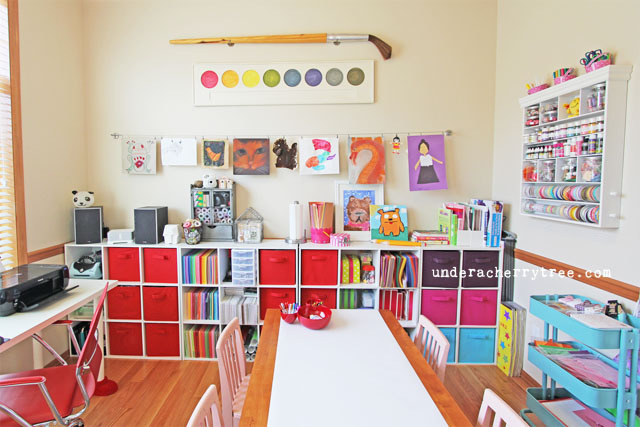 Here's the craft room again with the kids' table in place. 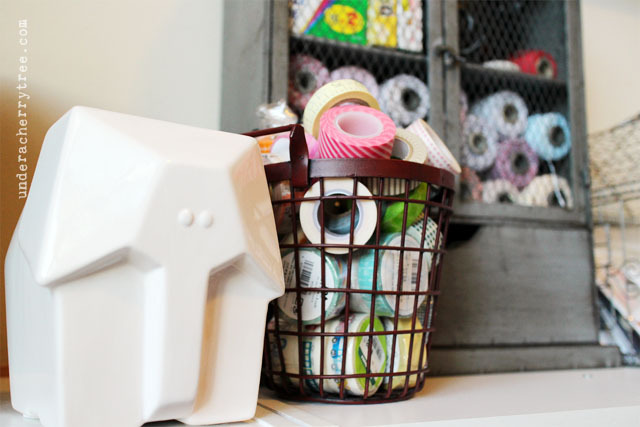 Let the mess crafting begin! LD just added a bundle offer on the collection where you can get all 7 sets for $18. The regular price is $31. If you use the MarchMadness coupon, it will take an additional 35% off the sale price. 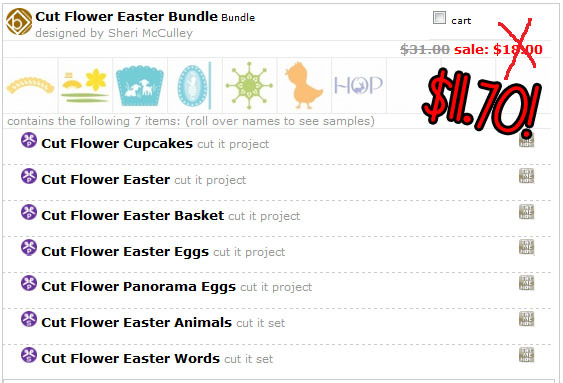 The final price on the bundle is only $11.70 or over 62% off! Woot!! Hurry and click HERE to get your deal! I love these flowers so much! 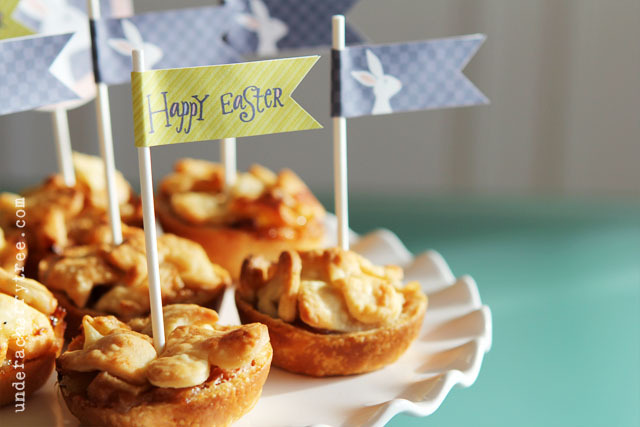 They are stunning and would look so pretty on the Easter table. 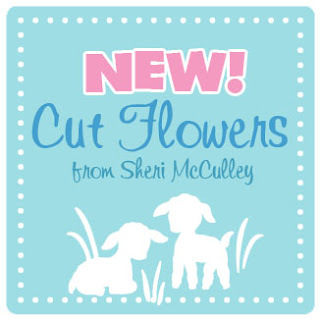 Click HERE to get the new Sheri McCulley Cut Flowers collection and don't forget to use your coupons! Use the code MarchMadness to save 35% on a $15 purchase or use MonsterMadness to save 55% on a purchase of $40 or more. LD has put my favorite Easter set on sale! For one day only, get the Peep Squeakers Projects Bundle for $5.00 (reg. $12). 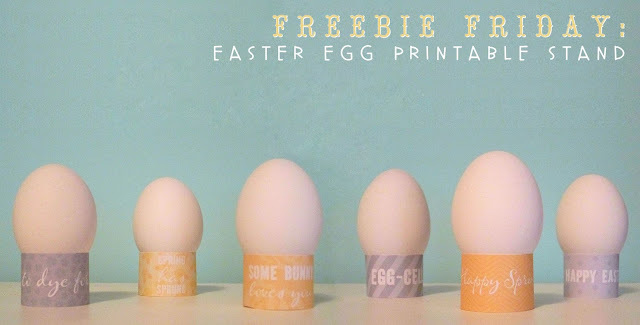 The bundle includes the cutest cupcake wrappers, egg holders, and gift card holders that you can use for Easter or all year-round. We usually dye eggs and bake cookies the weekend before Easter but this year we did something different. 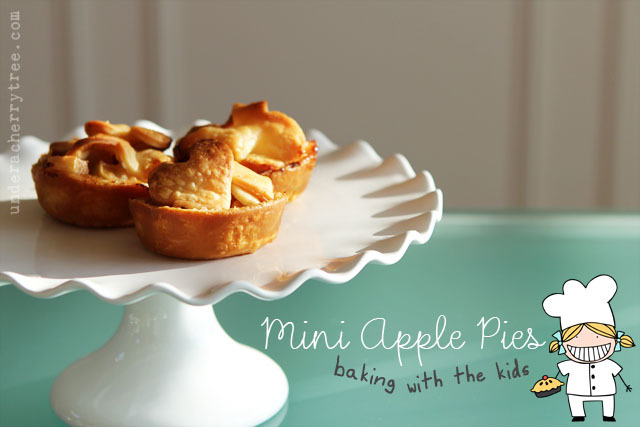 I saw this mini apple pie recipe on Pinterest the other day and I have been wanting to make it since. 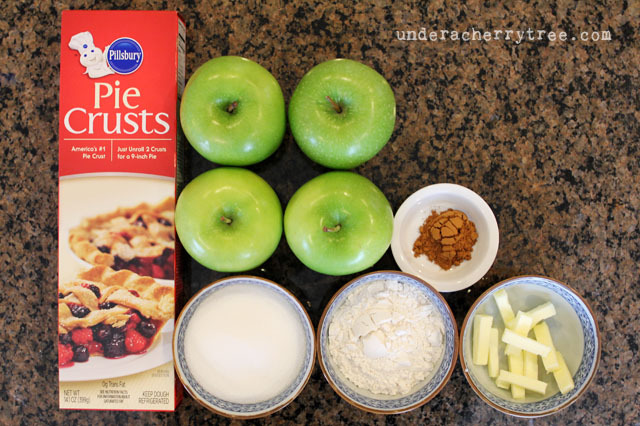 I love any recipes with apples! 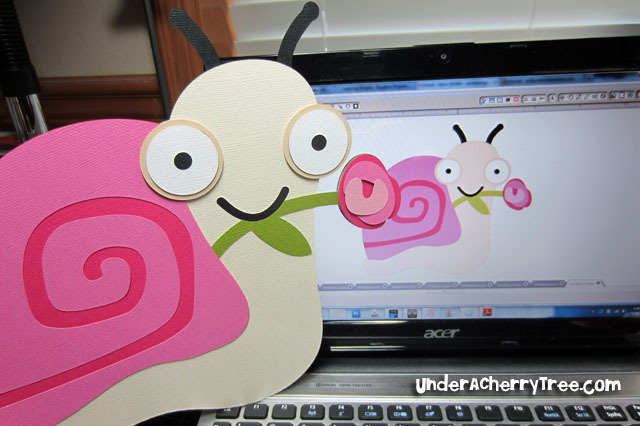 After making a batch on Friday, I decided that it would be fun to make more with the kids. 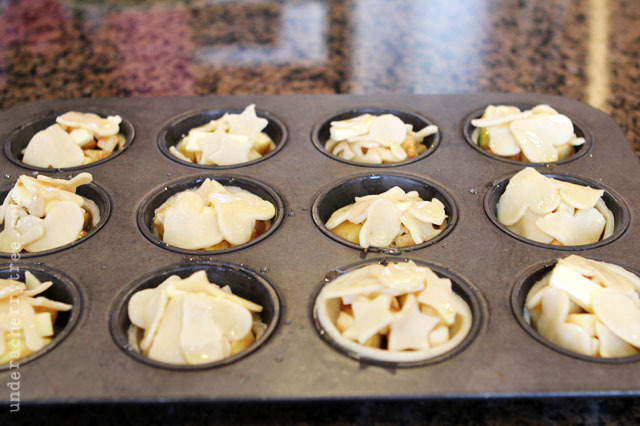 Following the original recipe, I peeled and cut the apples into small pieces that were approx. 1/2". The picture above shows 4 apples and that was what I prepared but it turned out to be way too many. 2 apples would have been fine. I ended up making a second batch with the leftover apples. 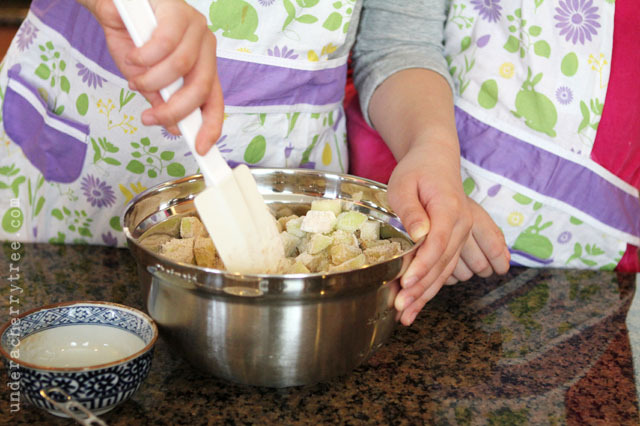 Once I finished cutting the apples and setting them aside, Kid 1 (Panda Girl) got to dump the cinnamon into the flour and mix it in. 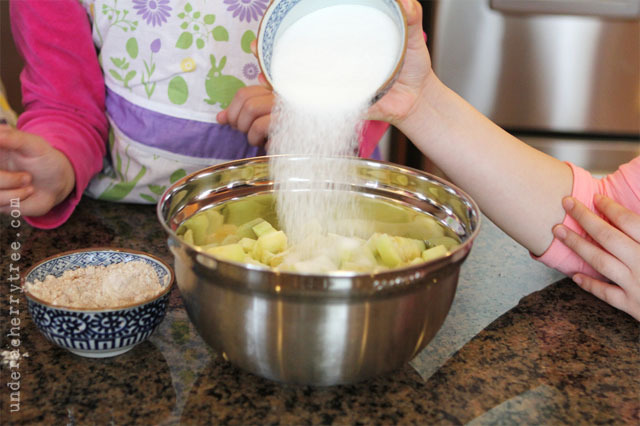 While Kid 1 was busy, Kid 2 (Twin B) got to pour the sugar over the apples. Kid 1 was happy to pour her flour/cinnamon mixture into the bowl next. And Kid 3 (Twin A) gets to stir! 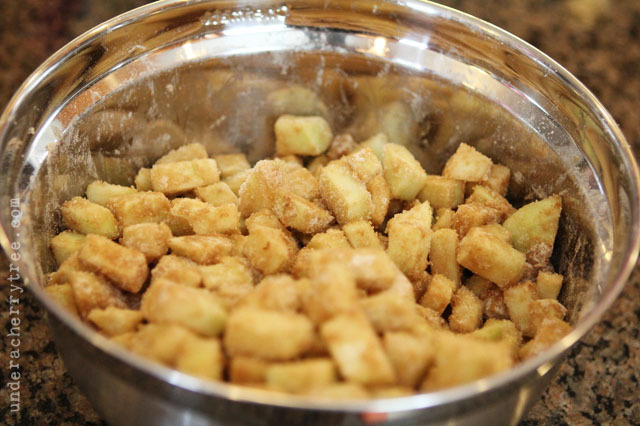 This is how the apples look like when covered with the cinnamon/flour/sugar mixture. Using the lid of a large mason jar (I used the lid from a jar of Costco peaches), I cut out 12 circles to "line" the muffin pan with. 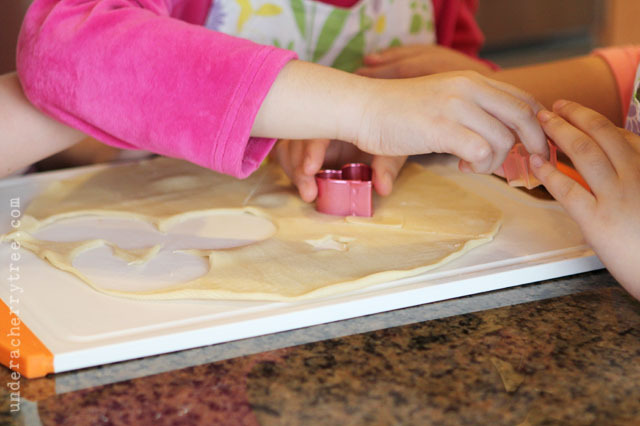 Next comes the part that the kids were waiting for- they get to use small cookie cutters on the leftover dough! 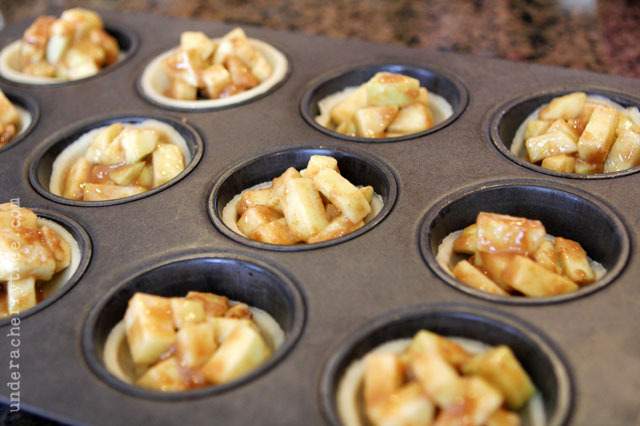 While the kids were busy playing cutting with their cookie cutters, I filled the muffin pan with the apples. I had to keep any apple bits from touching the pan because it'll stick. 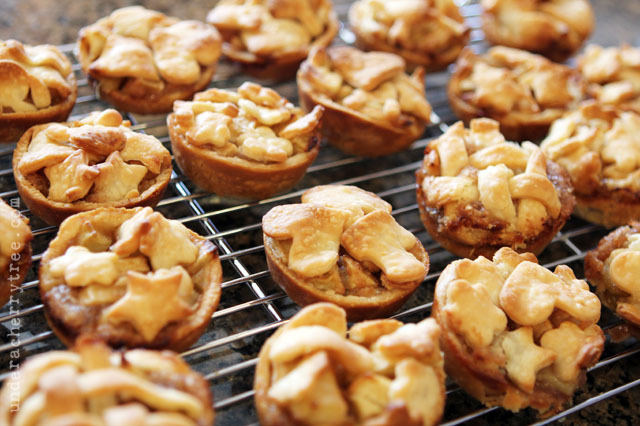 When I made my very first batch last Friday, I had a few that touched the sides of the muffin pan and it was hard to get the pies out without breaking them apart. 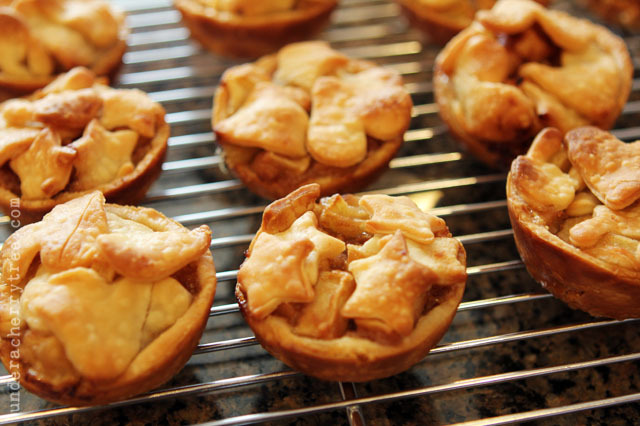 Here are the pies with their tops already brushed with melted butter. 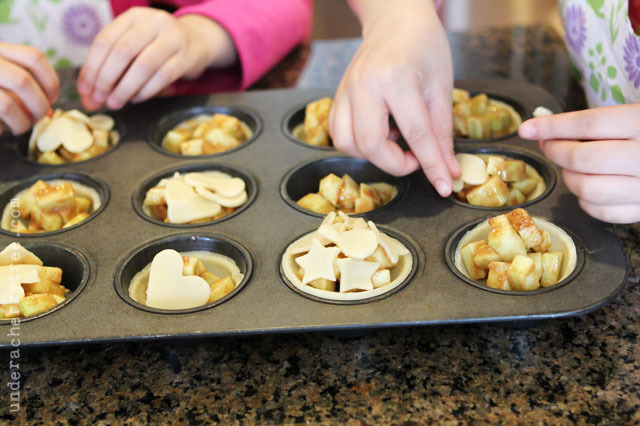 They are ready for the oven! Here they are again, all done! As I had a lot of leftover prepared apples, I made a second batch with Twin B. Luckily I had an extra box of pie crust in the fridge. Don't they look pretty all together? They were delicious too! 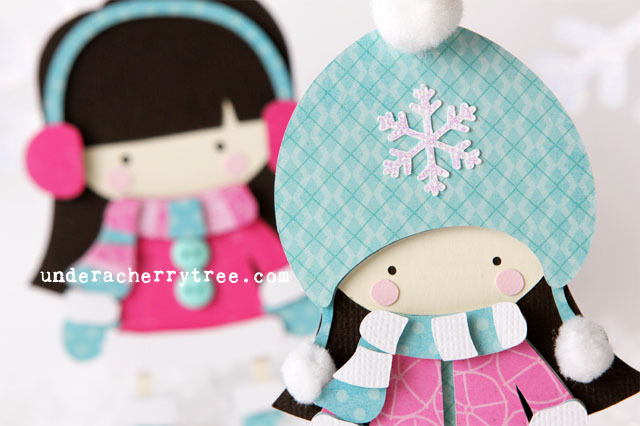 toppers from LD's For Peep's Sake Party Printable. 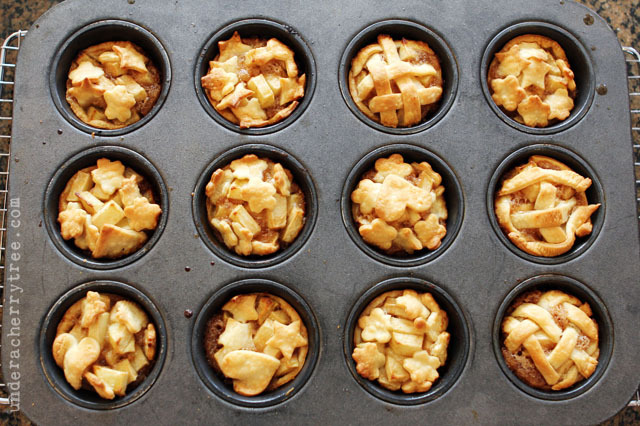 This will make a dozen muffin-pan size mini apple pies. 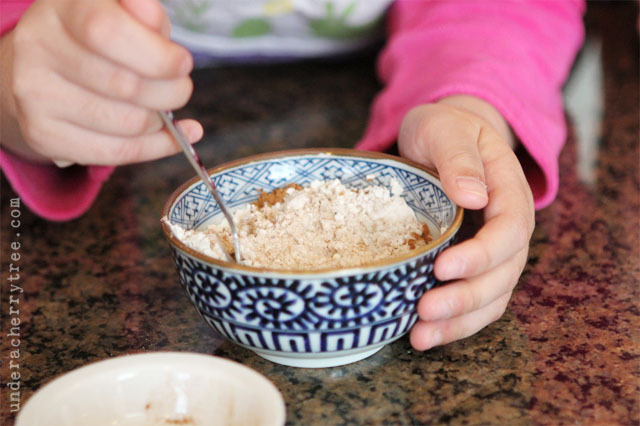 Mix together the sugar, cinnamon, and flour in a small bowl. Peel and cut apples to approx. 1/2" pieces. 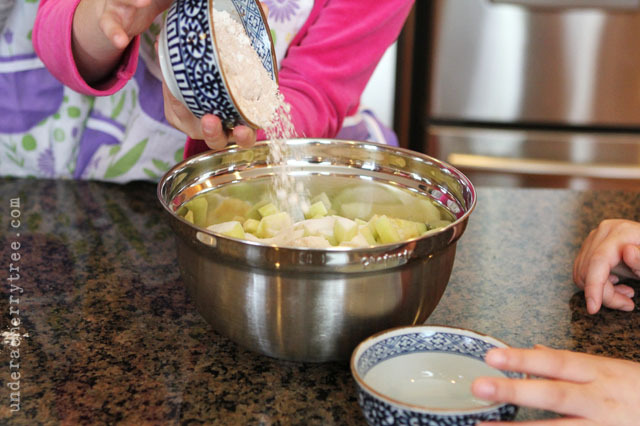 Coat the apples with the sugar mixture. 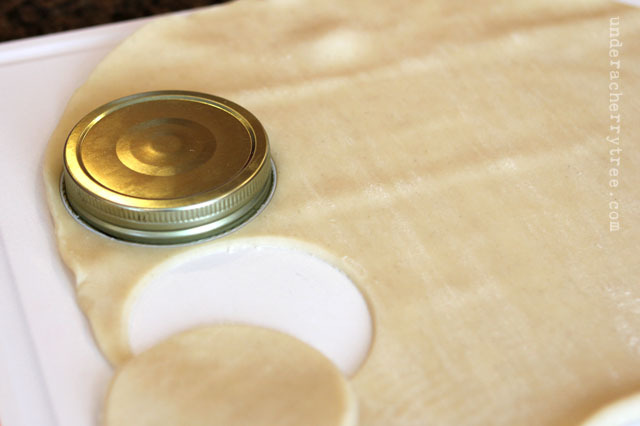 Unroll the pie crust and cut 12 circles with the mason jar lid. 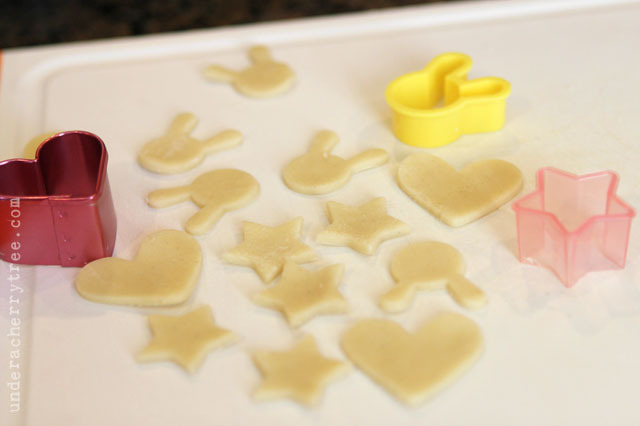 Use the cookie cutters to cut from the remaining crust. 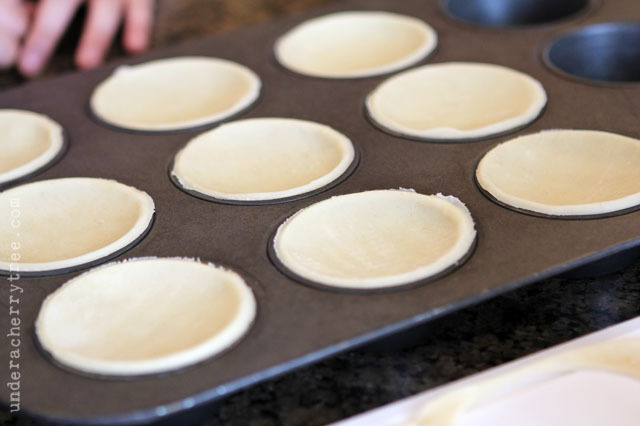 Line the muffin pan with the cut out circles. 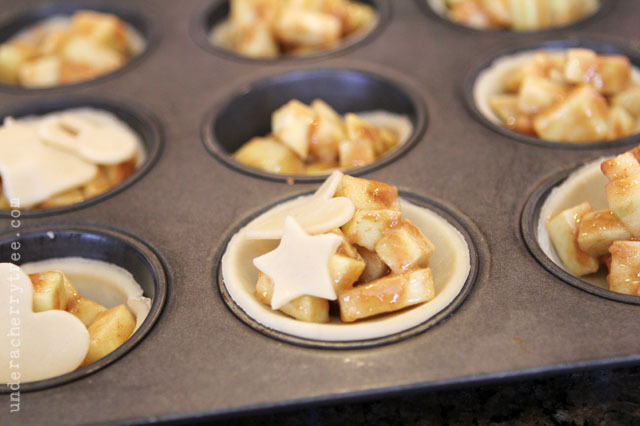 Fill with the prepared apples, making sure that the apples do not touch the sides of the pan. 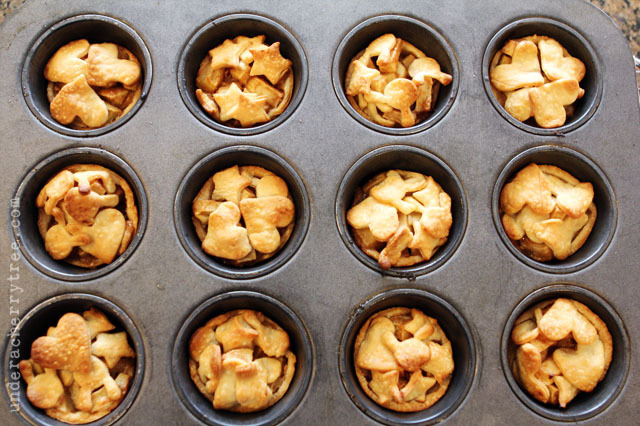 Lay a piece of butter on each pie and cover with the cut out shapes. Brush with melted butter and bake for 18-22 minutes. 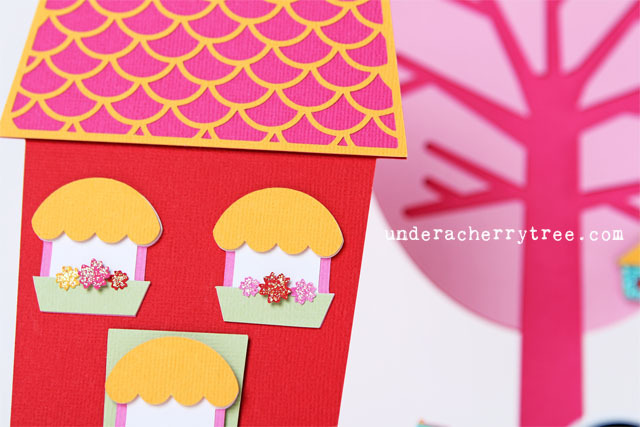 Freebie + new Sheri McCulley design! Friday Freebies for St. Patrick's Day! 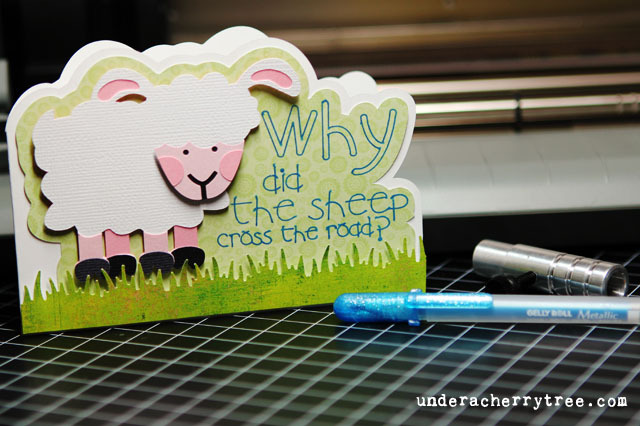 50-80% off St. Patrick's Day designs! Of a new Cut Its and a new freebie. Jin's 2M hits giveaway WINNERS!